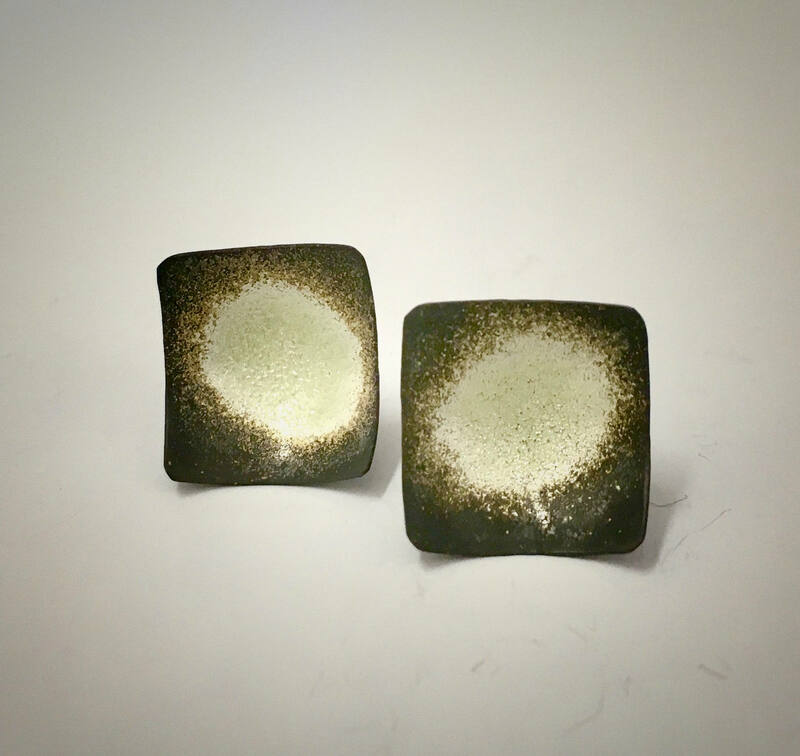 Distinctive EnamelArt enamel on Fine Silver stud earrings features transparent vitreous enamel with exposed & oxidized silver. 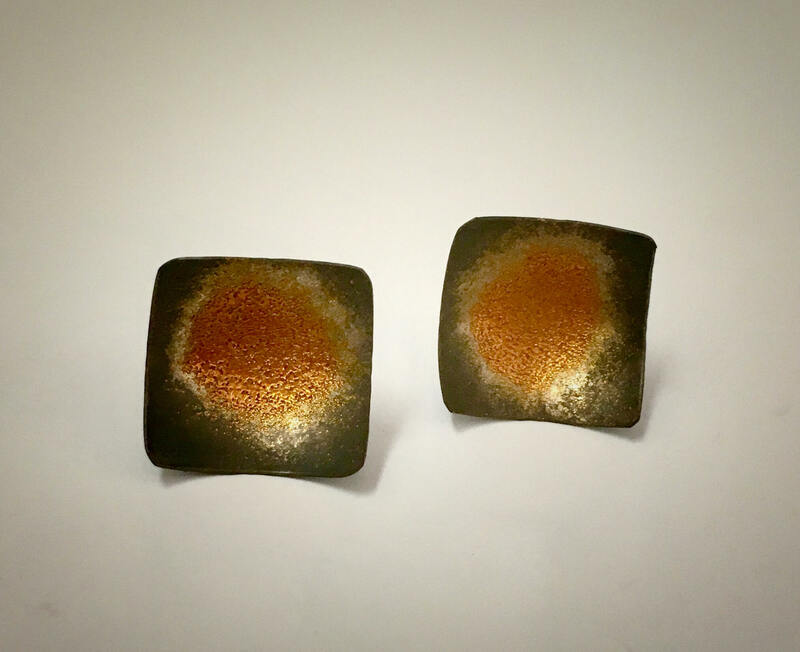 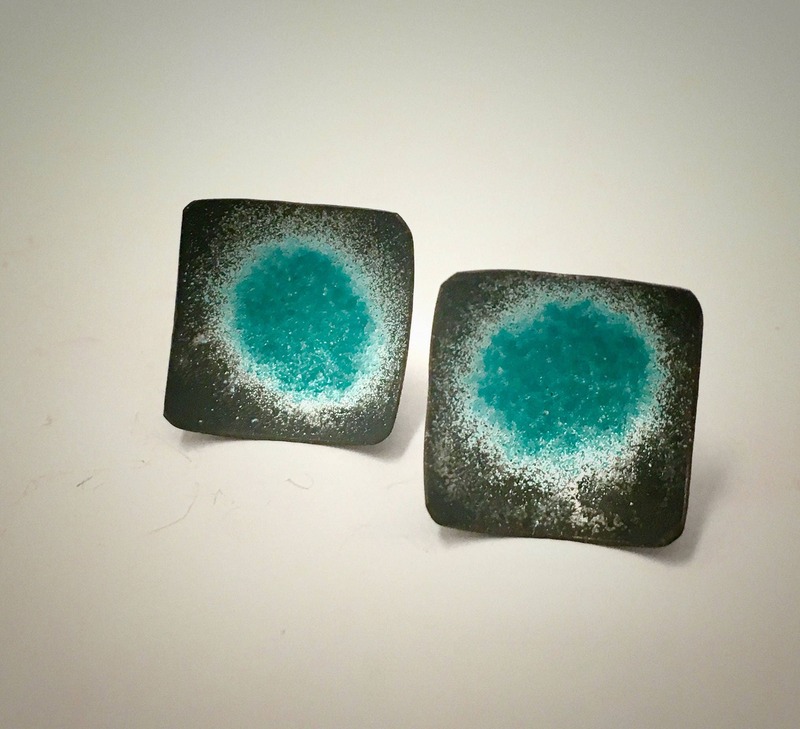 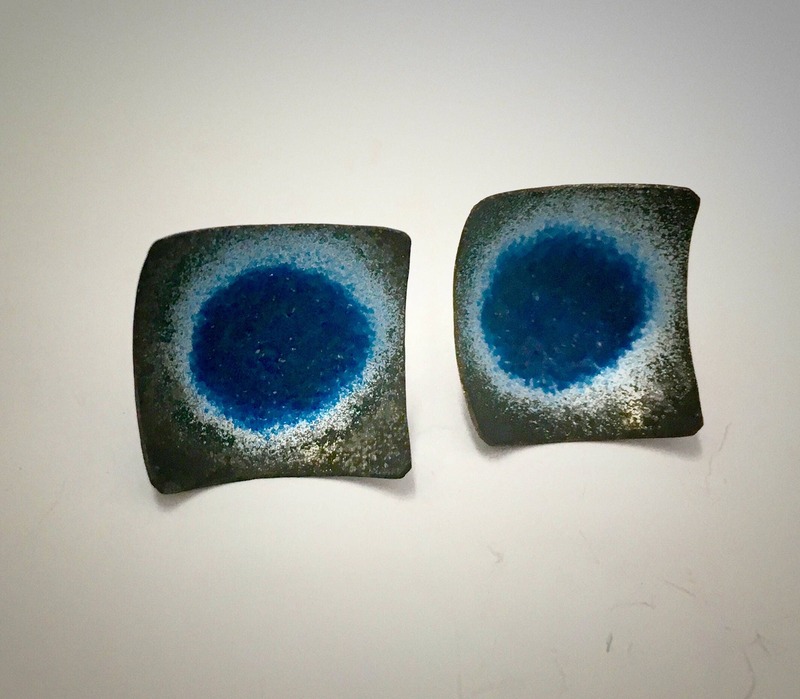 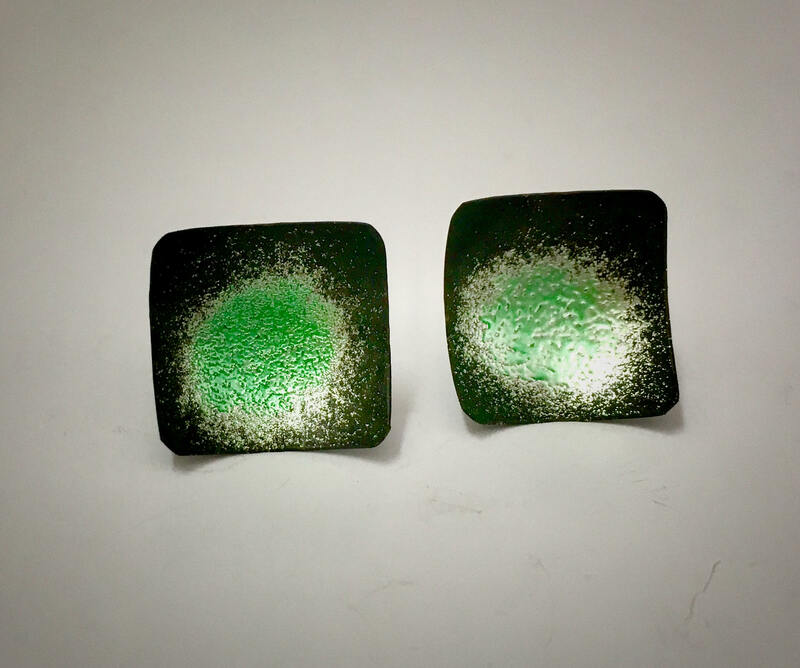 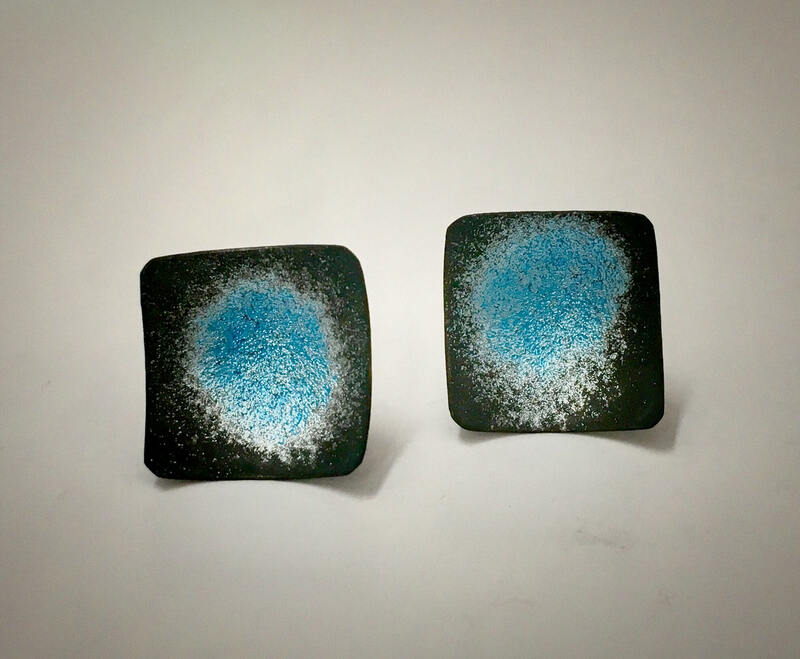 These square-shaped and concave earrings measure approx. 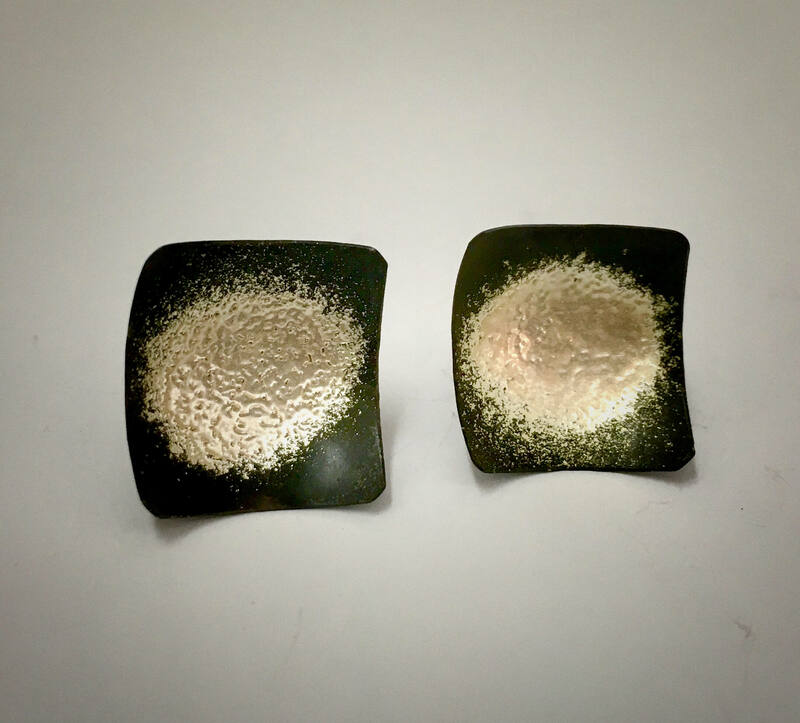 5/8” in diameter and feature Sterling Silver posts & friction nuts.